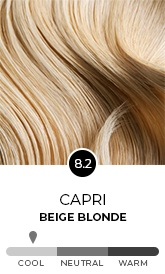 A soft, medium beige blonde with a cool ash tone, and a hint of beige in the background, which cools down any unwanted warmth in the hair. 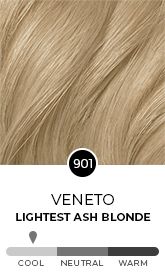 San Remo weaves ash and blonde to create a full, voluminous finish. 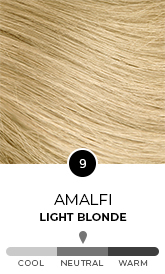 The reflects within this blonde base with neutralize and counteract any red, gold, copper or brass tones in your hair, giving you a true cool, light ash golden blonde colour result. Tone: Cool undertones are described as Ash and Beige tones, and they give a modern, cool colour effect and neutralize any unwanted reddish, orange, gold or brass tones visible in the hair. This is the shade you want if you do not want to see any red or gold in your hair colour.